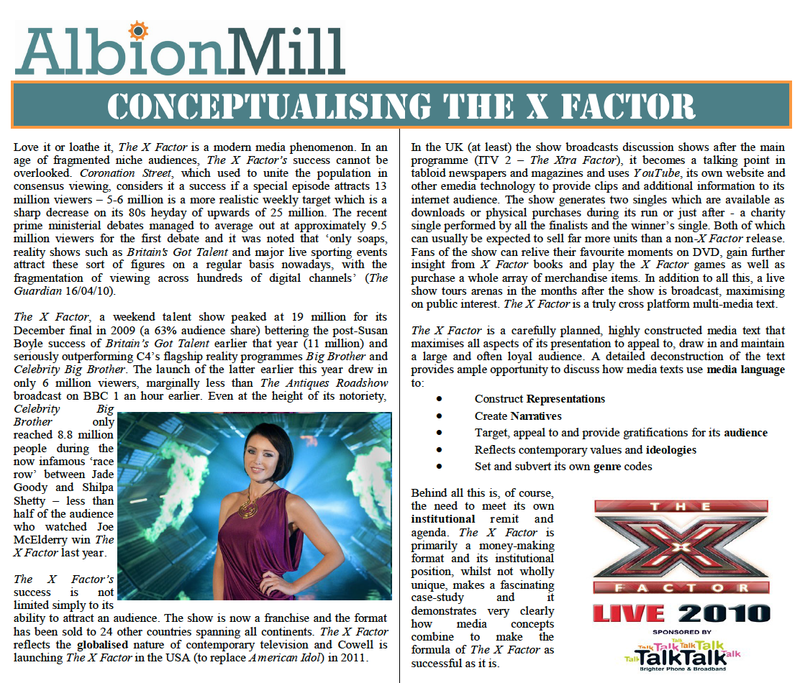 A conceptual analysis of The X Factor applying media concepts and integrating theories with contextual research and textual analysis. For higher level students, the postmodern nature of the show is considered. Note: the examples are from the 2009 series of The X Factor but the analytical ideas are still valid.